I have spent a few holidays on Lewis in the Outer Hebrides but it wasn’t until I did some family history research for a friend whose family is from there that I heard of the Iolaire. It is a tragic story. On 1st January 2019, the Iolaire boat was bringing home almost 300 servicemen after the end of the First World War when it hit rocks just outside Stornoway Harbour and sank, resulting in the deaths of over 200 men just yards from the shore. 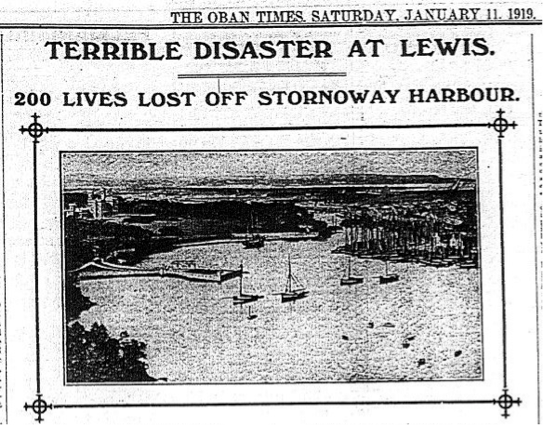 If you visit Stornoway and see where the ship went down, it is hard to believe that so many died. They were within what seemed liked easy swimming distance of the shore. However, it was a cold, dark and stormy night, the men were wearing their uniforms and heavy boots and, with much of the sea surrounding Lewis having extremely dangerous undercurrents, many of the Lewis people never learned to swim. The family I was researching lost two brothers but there was hardly a community on the island which was untouched by the tragedy. The dead represented almost an entire generation of young men. 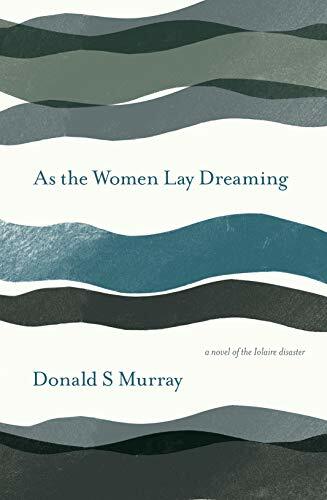 As The Women Lay Dreaming looks at the effect this tragedy had on one of the survivors, the fictional Tormod Morrison. It is told partly through the voice of his grandson Alasdair who, following another family tragedy, is sent with his sister to live with his grandparents on Lewis almost twenty years after the disaster. He finds a quiet man who has clearly been marked by his experiences. But Tormod teaches Alasdair to observe all that is around him, to appreciate the beauty of nature around him, no matter how dark life may be. Tormod is an artistic man, a talented sketcher who drew what he saw when he was in the trenches. I always had the sense that he felt trapped by his life, trapped due to various things which happened to his brother, his wife and his community. Nature and drawing was his escape from the darkness, a reminder that there is always beauty to be found. Not surprisingly for someone from the Hebrides, Donald Murray descriptions of the island are highly detailed and make it easy to visualise the beautiful though often bleak landscape. He vividly describes the dark and smoky living conditions in the blackhouses and, for the time, more modern whitehouses and it is clear to see how harsh life on the islands could be. His understanding of Lewis culture and heritage comes across clearly and gives the reader an insight into Hebridean life in the early 20th Century. Drawing on his own family history and experiences, Donald Murray paints an evocative picture of how intensely the tragedy affected the Lewis community, with the effects echoing down through the generations. It is a beautifully written tale and a moving insight into how a tragedy can shape a community and an individual. I must read this. When i saw the monument on my first visit to Lewis and heard the story, I couldn’t stop thinking about it the whole of my stay there. Such a tragedy that affected every village – young men so close to home after surviving the horrors of war and looking forward to being with their families for the New Year.